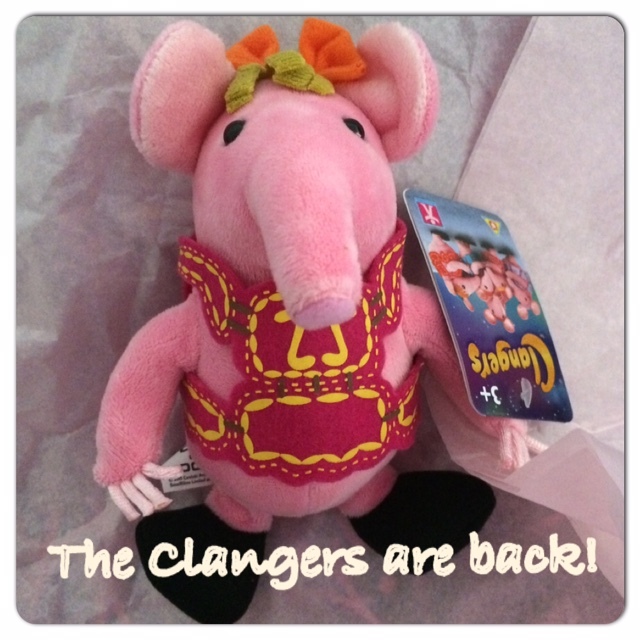 My Mummy's Pennies: The Clangers are Back in Town with new Toys! The Clangers are Back in Town with new Toys! Do the names Mother, Major, Granny, Small, Tiny and Soup Dragon mean anything to you? If so, I'm guessing you may have been a childhood Clangers fan? You may be aware that the classic children's TV show first aired in 1969 is back on the BBC, with a £5million make over, although many factors of the series aimed at CBeebies' 3 to 5 year-old audience will remain true to it's 20th century roots. In fact the producer and writer of many of the episodes of the new series is the son of the original creator Oliver Postgate. The toys that we received included a beautiful supersoft plush Tiny Clanger dressed in the familiar costume from the series. The removable felt costume is intricately detailed and Tiny's hair is decorated with the familiar orange bow. 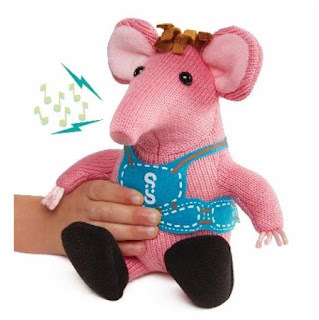 She is the perfect size or the latest generation of Clangers fans to cuddle. These cute plush friends are also available in Major and Small and retail at just £5.99. 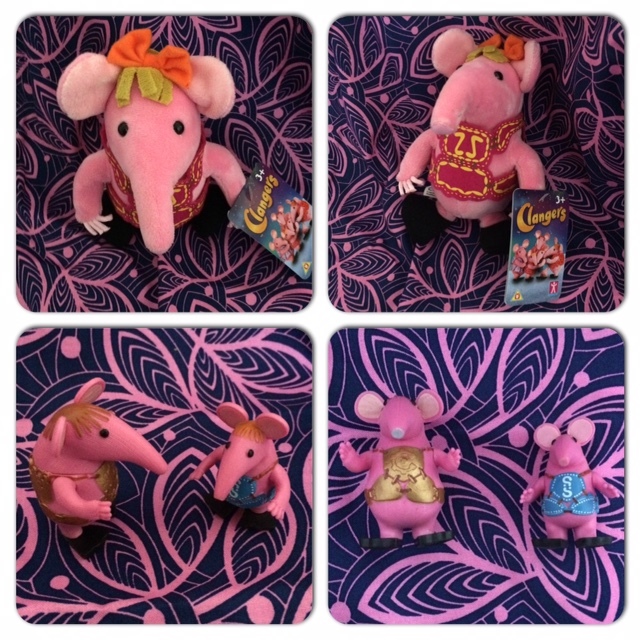 Also in our package was a set of Clangers collectable figures featuring Major and Small. these adorable pink figures are positioned to stand up and have movable arms, they have a high level of detail and are the perfect imaginative play toys or fans of the Clangers. These sets are also available with Mother and Tiny, Iron Chicken or my personal favourite the cute green Soup Dragon. 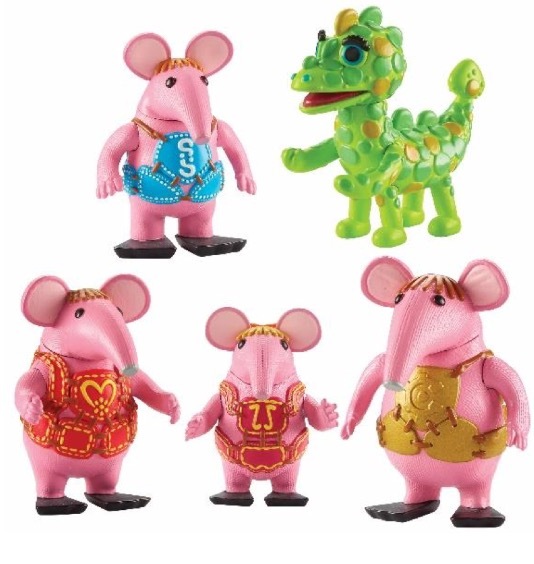 These character sets retail at £4.99 are the perfect accompaniment to the Home Planet Playset where all the Clangers action can take place. 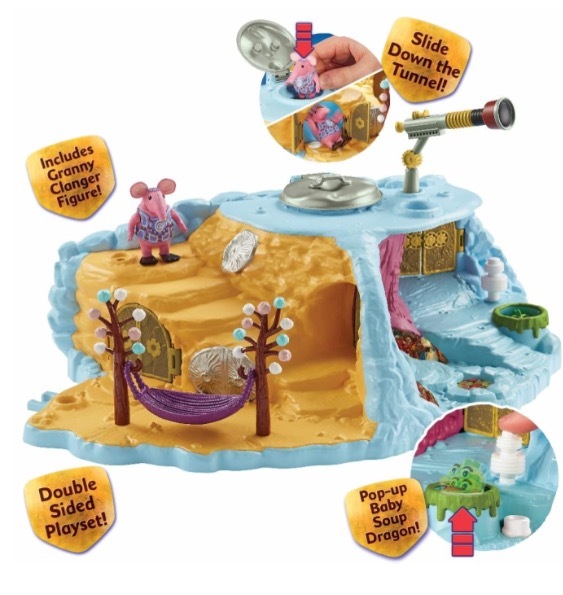 Features of this set include a hidden slide down to the Living cave, a swinging hammock and a movable telescope as well as an exclusive Grandma Clanger figure. This fun set has an RRP of £24.99. 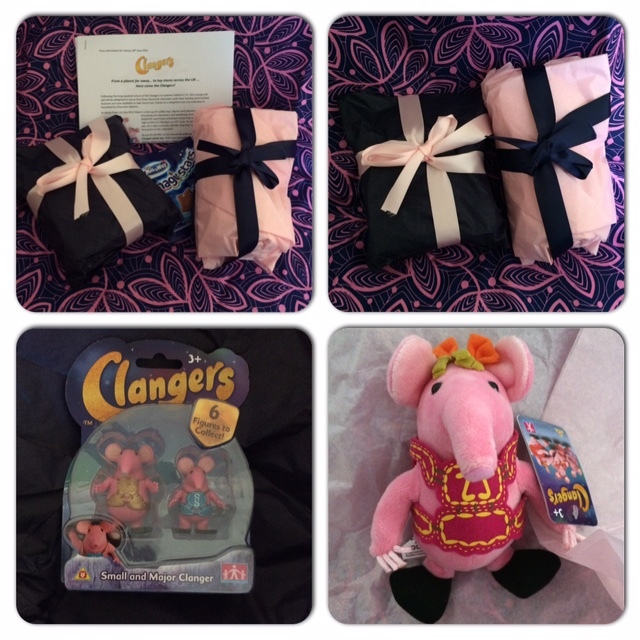 My 4 year old daughter is really impressed with our Clangers goodies and has been enjoying the new series. She has introduced Tiny Clanger to her dollies and have made a special place for her on her bed! We are really excited to try out some more of the range later in the month, other toys in the collection include Tiny and Small Squeeze and Whistle Plush Toys, which as well as having authentic knitted effect fabric also make the much loved whistling sounds of the Clangers when their tummies are pressed. 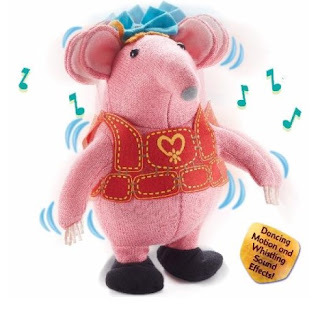 Another noisy one is the Whistle and Dance Mother Clanger who'll have your litte ones in fits of giggles and wanting to dance along! 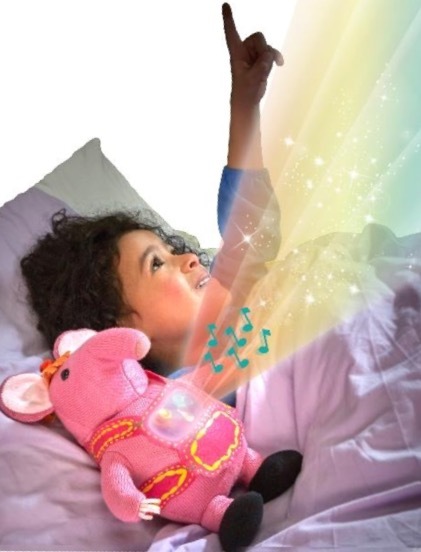 The toy that really excites me though is the Musical Starlight Tiny , as well as being a larger version of the plush we have received, it doubles as a bedtime comforter, playing gentle music and projecting a a starlight display on to bedroom walls and ceilings slowly fading away as your little one drifts into the the land of nod. I'm really looking forward to seeing what we will be sent from the collection next and I can't wait to share them with you, but in the meantime enjoy the new series! We were sent a gift to share with you, post contains affiliate links. I have a couple of little Clanger characters that sing that I bought years ago from Boots, but these plush ones look lovely!